This is one of our most popular big adventures. 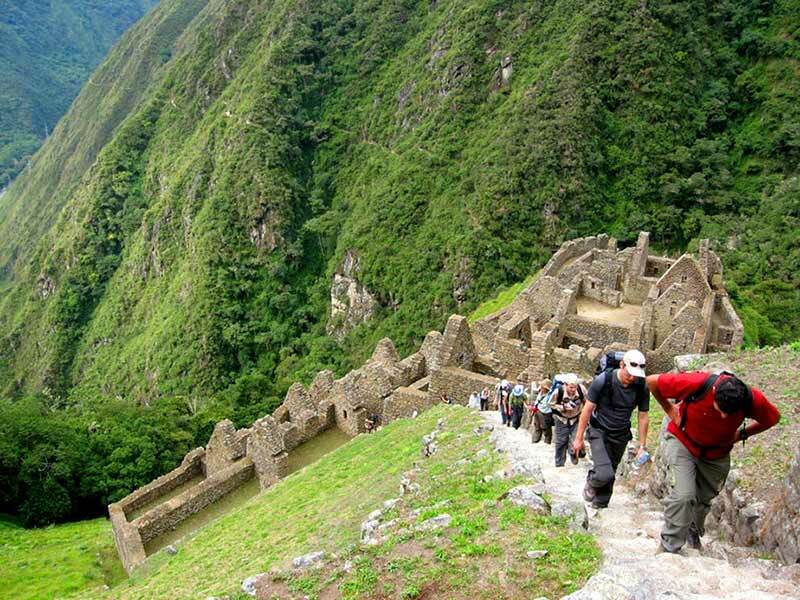 Discover ancient Inca complexes and other archaeological sites along your trek to Machu Picchu. We have taken into consideration all logistical factors, altitude adjustment period and additional features that are relevant to the whole adventure. With EcoAmerica you will get a complete experience, from greeting you at the Lima airport on your arrival day, to allowing time to adjust to the altitude in Cusco, to offering you two classes of Train Service, an overnight in Machu Picchu and a second entrance to the citadel on your 7th day, to transferring you to the Cusco airport on your 8th day. Most of the essentials are included so you can budget your adventure during your planning stages. We look forward to showing you a fantastic time, and remember BOOK EARLY TO MAKE SURE THERE IS SPACE AVAILABLE. Available for a minimum of two guests – * Private Expeditions are available on request and may operate any day of the week. There are limited spaces at the Camp Sites, and they are controlled by the Peruvian National Park System. We strongly recommend advanced reservations to ensure availability. 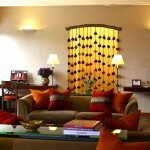 Departure transfer from your Cusco hotel to the Cusco airport on Day 8. Breakfast on days 2, 7 & 8. 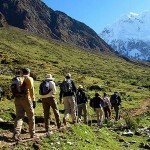 On Day 3 Departure from your Cusco hotel in the morning and transfer in private transport to starting point of the trail. Machu Picchu entrance fee on day 6. English speaking professional and official tourist guide. Porters (to carry tents, food and cooking equipment). Meals (3 Breakfast, 3 Lunches, 3 Dinners, and daily morning snack, plus tea service (except last day). Vegetarian or special menus are available at no extra cost. Advanced notice required. Bus ticket from Machu Picchu ruins down to the village of Aguas Calientes. Transfer train station to hotel in Cusco. 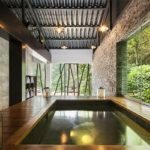 Visit the hot springs in Aguas Calientes. Porters to carry personal gear (available at extra cost). Meet and greet service at the Lima Airport and assistance with a walk-over to the Costa Sol Airport Hotel. Your greeter will present you with all your local paper-work, pertinent information, and schedules. Check in for an overnight stay. Lima To Cusco | B. Walk over to your corresponding airline ticket counter at the Airport and proceed to check-in for your morning flight to Cusco (airfare is NOT included). On arrival in Cusco: meet and greet service and transfer to the Los Portales Hotel for an overnight stay. The balance of the day is at leisure to gradually begin to adjust to the altitude. Let the big adventure begin! Piscacucho / Huayllabamba | B.L.D. Maximum altitude reached: 3,000 mts. / 9,842 ft.
Huayllabamba / Llulluchapampa / Warmiwañusca / Pacaymayo | B.L.D. The most intense day of the Inca Trail is here so make sure to bring some extra sugary sweets in your pocket for extra energy. We will walk through the Valley of Huayllabamba while we observe the ecological changes of going from the highlands to the plateau. In Yunca Chimpa we start the ascent to Llulluchapampa (3,750 mts. / 12,303 ft.). While we enjoy a refreshing snack, the Huayanay Valley is in front of us, and the challenge of the day: the defiant Warmiwañusca mountain pass (4,200 mts. / 13,799 ft.), also known as “Dead Woman” mountain pass. If we are lucky we´ll get to see the beautiful hummingbirds and sparrows that live in the area. Finally it is time to descend to our campsite in Pacaymayo (3,600 mts. / 11,811 ft.) for lunch and rest after this challenging day. Maximum altitude reached: 4,200 mts. / 13,799 ft.
Runkurakay / Sayacmarca / Phuyupatamarca / Wiñaywayna | B.L.D. A day filled with archaeological sites in our trail, the longest but also the most impressive and least difficult day. We will ascend to the Runcuracay mountain pass (3,860 mts. / 12,664 ft.) to see the archaeological complex of the same name to later continue to the Sayacmarca Inca fortress (3,580 mts. / 11,745 ft.). After lunch, it’s time to cross the Phuyupatamarca Mountain pass (3,700 mts. / 12,139 ft.). In this area we will see the best preserved Inca complex in all the Inca Trail, whose name in English translates to “over the clouds”. After a well-deserved rest, we will continue to Wiñaywayna (2,650 mts. / 8,694 ft.), an impressive Inca complex with numerous agricultural terraces and religious and urban areas. This will be end of the day for us; we will set camp and enjoy our farewell dinner. There are public restrooms and hot showers. If not too tired, unlikely though, there’s a youth lodge for those not ready for bed yet. Maximum altitude reached: 3,860 mts. / 12,664 ft.
Wiñaywayna / Intipunku / Machu Picchu Overnight | B.L.D. We are getting closer to our main objective. We’ll get up at dawn to ascend through a narrow way of steps until we get to Intipunku or the Door of the Sun (2,720 mts. 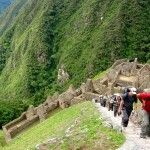 / 8,923 ft.) and get a first glance of Machu Picchu (2,450 mts. / 8,038 ft.) at sunrise; a memorable experience to capture in pictures. We will then go down for a guided tour of the fortress and the opportunity to learn and see everything there is to see of one of the Seven Wonders of the World. Enjoy a delicious lunch at the Sanctuary Lodge by Belmond Hotel. At the arranged time, descend (by shuttle bus) to the village of Aguas Calientes where you will spend the night at the El Mapi Hotel. 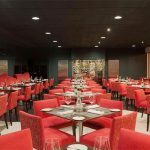 Enjoy dinner at the hotel. Balance of the day is at leisure to enjoy a nice walk around the village. Maximum altitude reached: 2,720 mts. / 8,923 ft. Personal Exploration of Machu Picchu / Afternoon Train to Cusco | B. Our experience with other explorers dictated that a second entrance to the Machu Picchu Citadel was a must. So we included it! Shuttle Bus Tickets and Admission to the Archeological Park will be provided so that you may take-in the mystery and beauty of Machu Picchu at your own pace. In the afternoon, board your train for your journey back to Cusco. 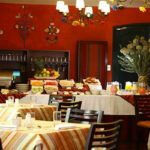 On arrival, you will be transferred to the Los Portales Hotel for an overnight stay. 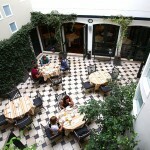 Cusco / Lima / Home or Next Destination | B. 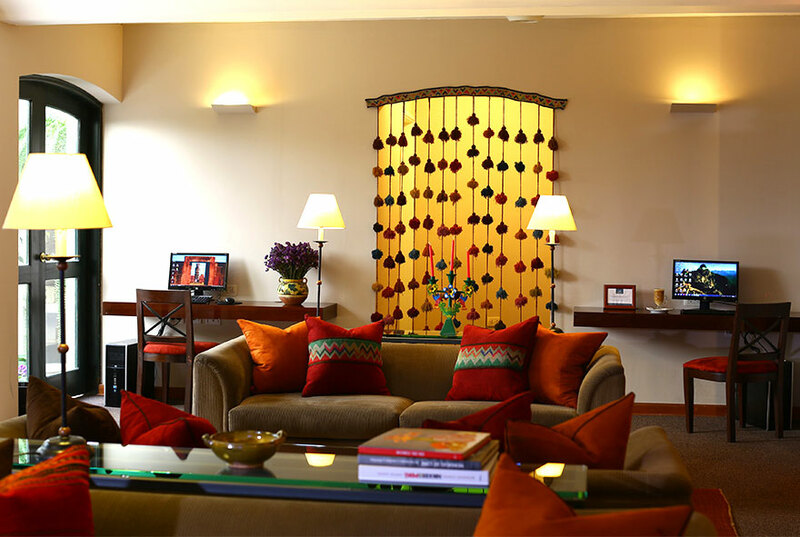 At the appropriate time, transfer to the Cusco airport to check-in for your onward flight. Thanks for letting us arrange for your Inca Trail Expedition., we hope to see you again; perhaps you would like to join us for the Salkantay Inca Expedition, the back door to the Machu Picchu Citadel. 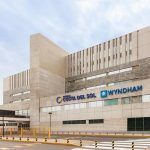 In Lima: Wyndham Costa del Sol Airport is conveniently connected to the Jorge Chavéz International Airport, with easy access to all of Lima’s many cultural and historic wonders and a wealth of upscale services and amenities designed for discerning travelers. 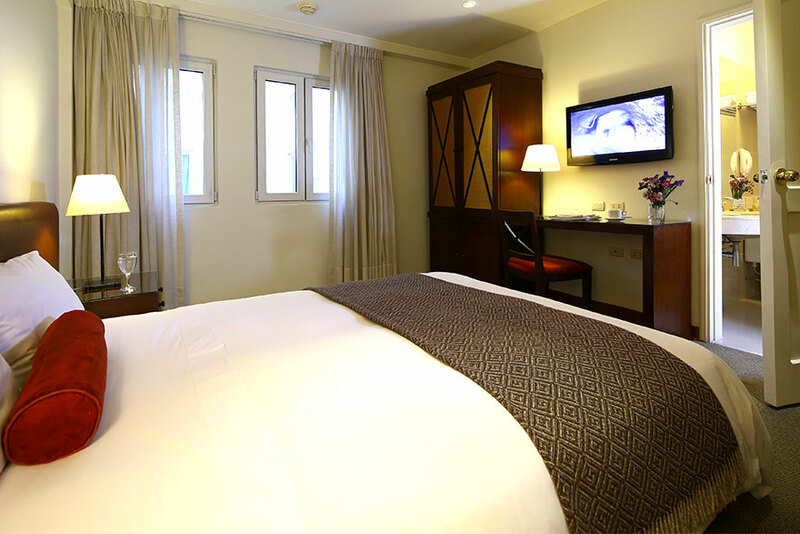 The Wyndham Costa del Sol Lima Airport is the premier upscale international hotel in Peru’s capital city. 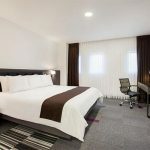 This Lima Airport hotel is perfect for those in transit, with the unparalleled ability to walk to or from your flight within minutes of the front door – and 24-hour dining options, they have endeavored to deliver round-the-clock service in a world where round-the-clock is the norm. 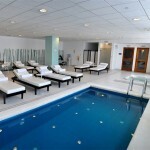 Wyndham Costa Del Sol Lima Airport has a full-service spa, an indoor pool, and a spa tub. Complimentary wireless Internet access is available in public areas and a computer station is located on site. 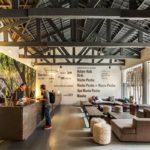 This spa hotel offers a restaurant, a coffee shop/café, and a bar/lounge. Additional amenities include spa services, fitness center, and steam room. 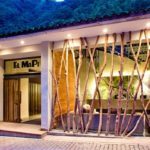 In Machu Picchu / Aguas Calientes: El Mapi is a smart and contemporary hotel situated in the commercial village of Aguas Calientes, where you can admire and interact with the local residents and get a different perspective. 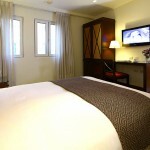 The hotel is efficient, lively and people friendly; it welcomes a wide range of guests who expect an uncomplicated visit. 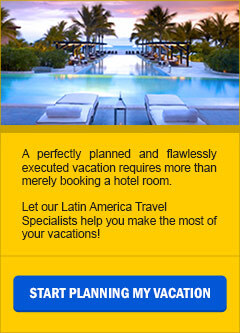 You will be enlightened when you visit Peru’s most distinguished destination, the Machu Picchu Archaeological site. The hotel rooms are equipped with blackout curtains, 100% cotton sheets, down duvets, hypoallergenic pillows, cotton bath robes, and 32″ flat screen TVs. 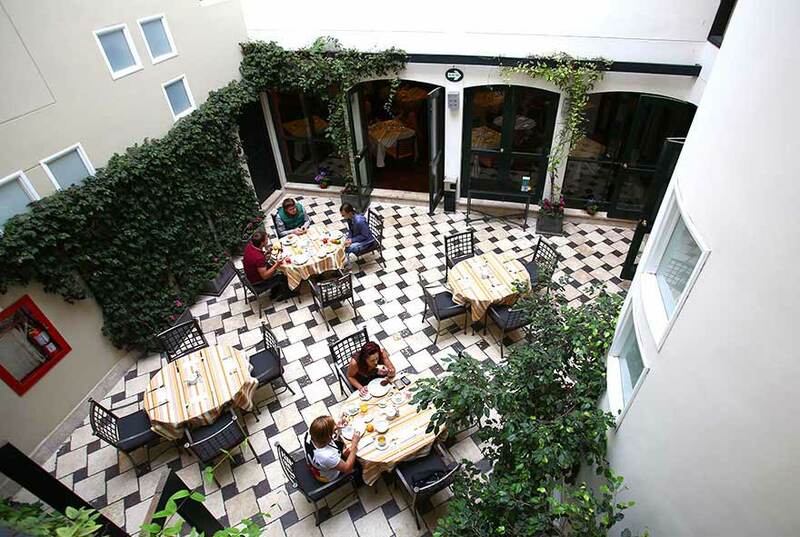 Step into the smart, contemporary and cozy confines of El MaPi, amidst the picturesque Machu Picchu Pueblo. The flowing lobby creates a sense of vitality. Lofty ceilings, panoramic windows and an open café allow natural light to filter between tall eucalyptus, creating an ambience of order and wellbeing. 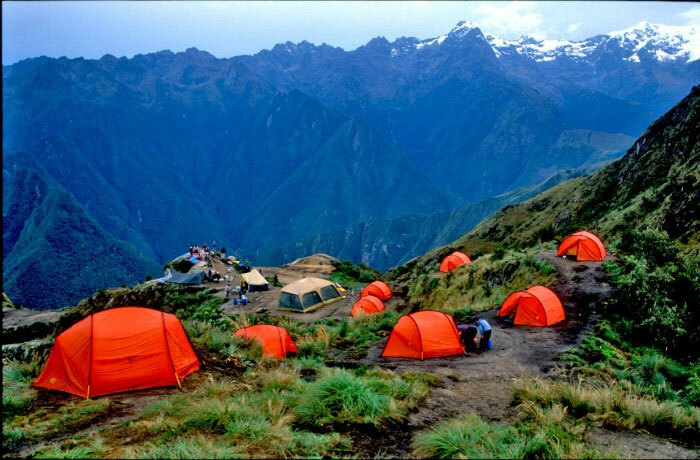 Campsites may be different to those mentioned above as they are controlled by the Peruvian authorities; all treks will be provided. The price includes: hotel accommodations with taxes, activities, ground transfers and tours as indicated, meals as per itinerary, on site logistical support of our Peru-based representative office. The prices do not include: personal expenses, additional activities, international and local airfares as well as airports departure taxes, gratuities to guides, drivers, porters, bell and wait staff; or any other item not listed above. All tour services are SIC share basis. Deposit: A $600.00 deposit per person is required to activate your reservation. 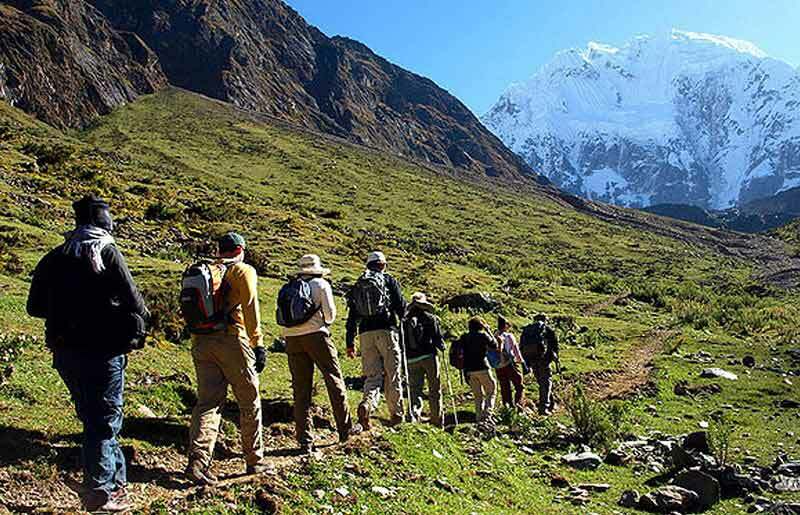 Once confirmed, Inca Trail Entrance Fee is not refundable. Final Payment: The balance is due 65 days prior to the start of your tour. If full final payment has not been received by the due date, EcoAmerica Tours reserve the right to cancel the reservation without notice. We care about your passengers: EcoAmerica Assistance Network. Top Producer and a great relationship with key suppliers. A positive impact of our operations at all levels.